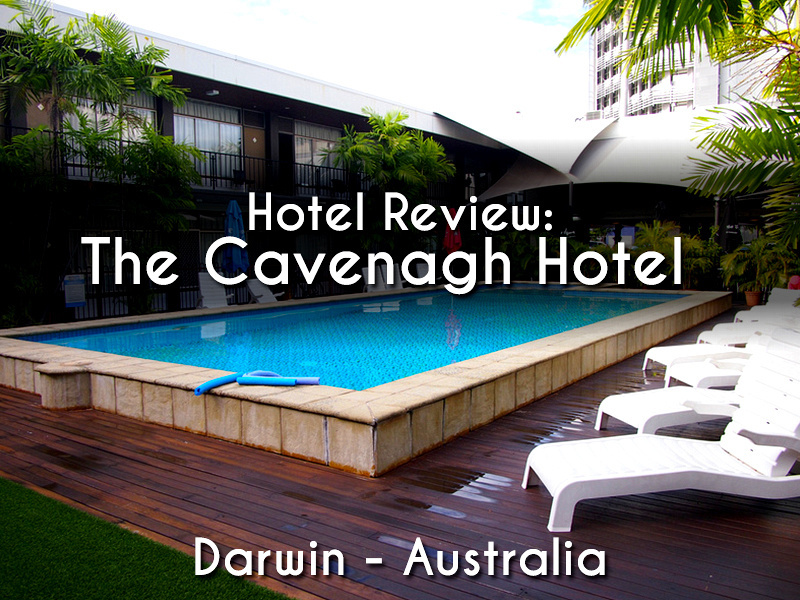 I stayed at The Cavenagh Hotel in Darwin. 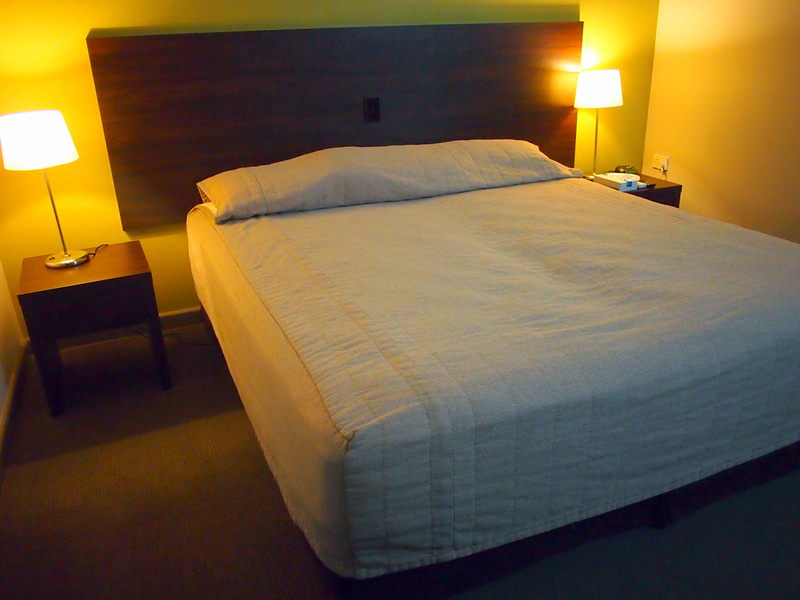 I booked online and picked it for its location and price, which worked out to be $53 AUD per night. 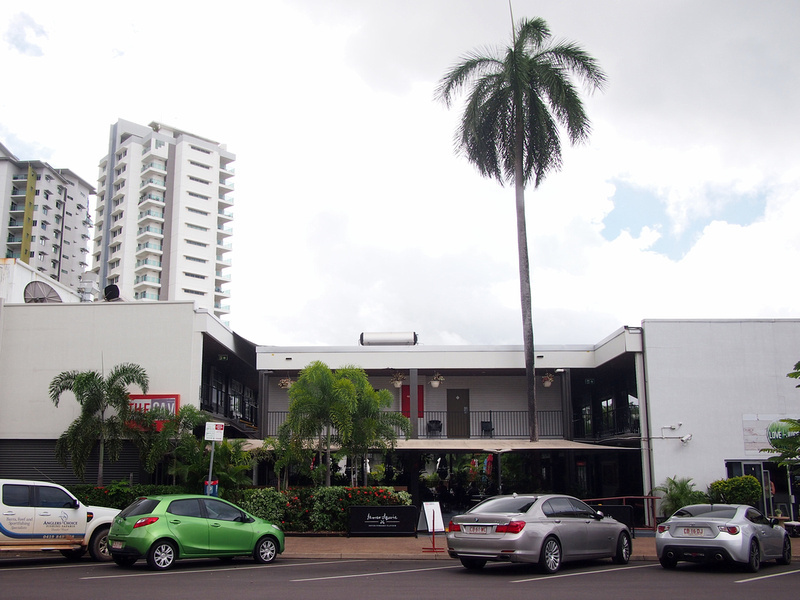 It turned out to be a great choice as this was an ideal hotel for my time in Darwin. The Cavenagh (or The Cav as it is known) is centrally located in the city, at the waterfront end of the CBD. You can walk easily to any point of interest in the city from here. The hotel is part motel and part pub-hotel, with motel-style rooms on the main courtyard, with the pub connected to the reception. The centrepiece of the hotel is the main swimming pool which is surrounded by motel rooms. The design of the hotel makes it feels cool and breezy, which is an appropriate design for tropical living. I checked in late at night so I had to make myself known at the outdoor bar near the reception. I got a warm Territorian greeting and was taken to my room. I had one of the interior rooms behind the motel-style rooms. There was no window so there was a skylight for natural light instead. 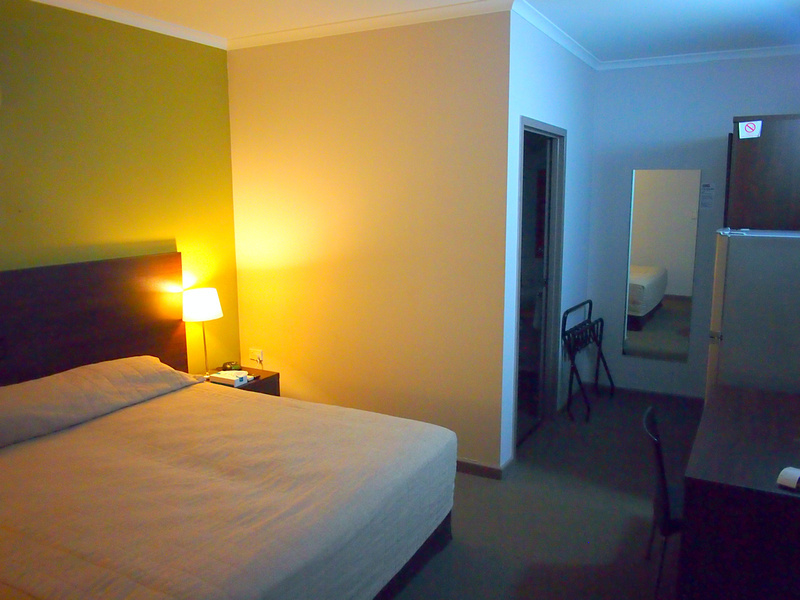 My room was listed as a Boutique King room with ensuite bathroom and air conditioning. The king-size bed was 2 beds joined together, but for one person this was more than enough. It was a comfortable bed. The room had an unusually large fridge for a hotel room, perhaps for travellers who are preparing for big outback trips. 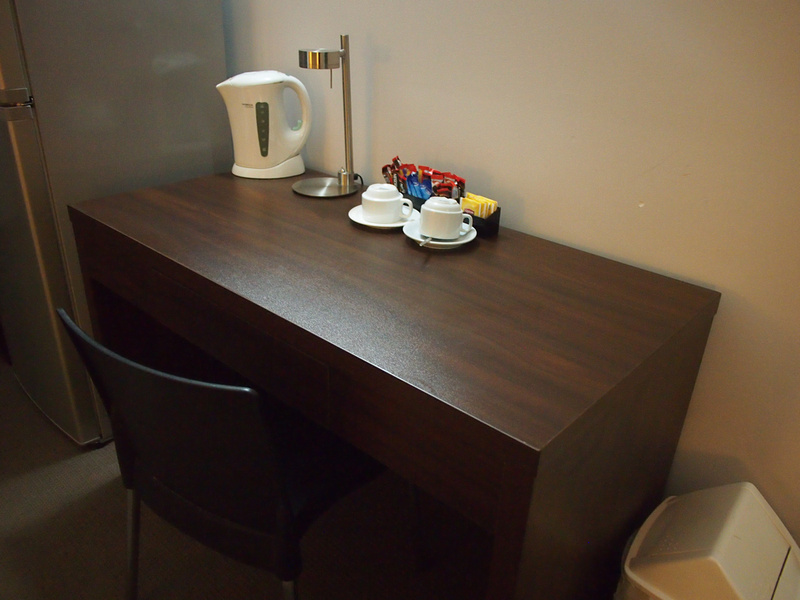 There is a work desk with tea and coffee making facilities. 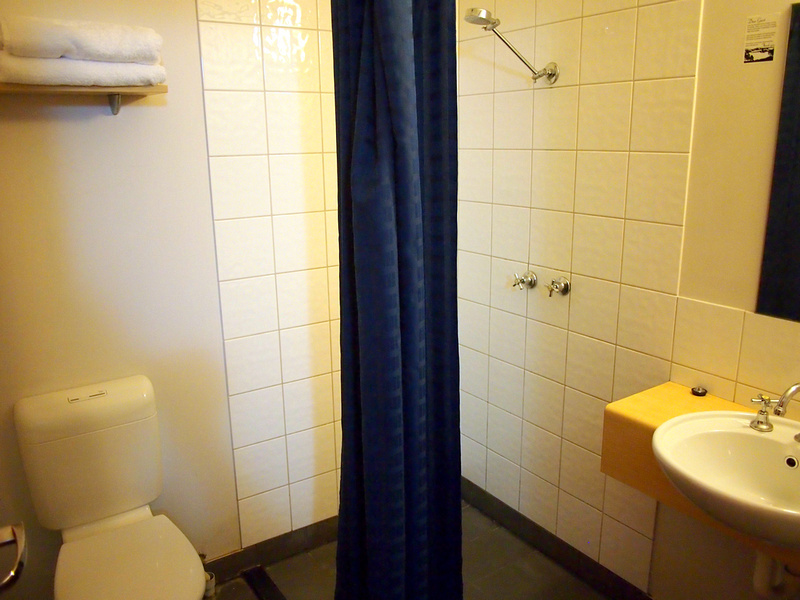 The room also has an iron and hairdryer. A nice clean and orderly bathroom with a good hot water service. There are no toiletries like soap supplied though, so BYO. The hotel is part of the pub of the same name, which is very lively in the evening with a popular pub restaurant. Breakfast wasn’t included in my rate, so if you want breakfast onsite there is breakfast available next to the reception area. You can also walk to nearby cafes for breakfast. 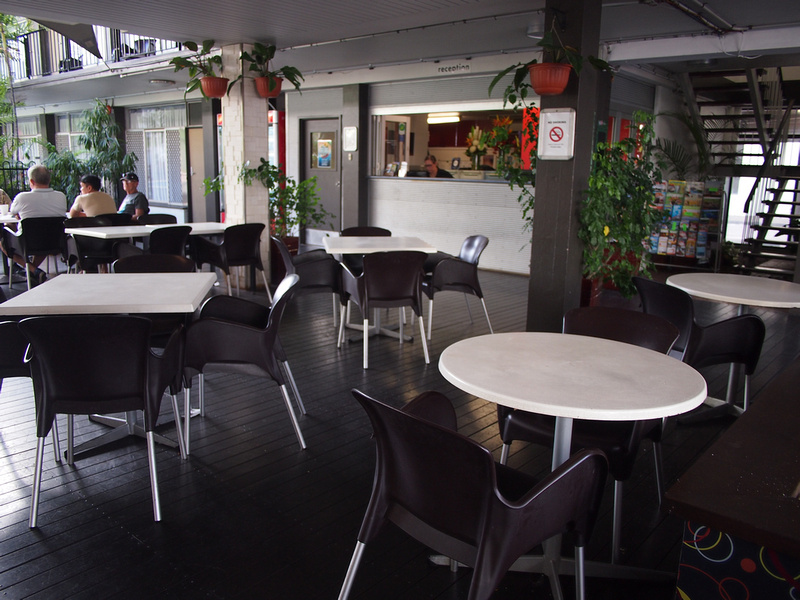 There is free wifi available with a voucher supplied when you check in. If you are a heavy user or want another voucher for an extra device then you have to buy another code. 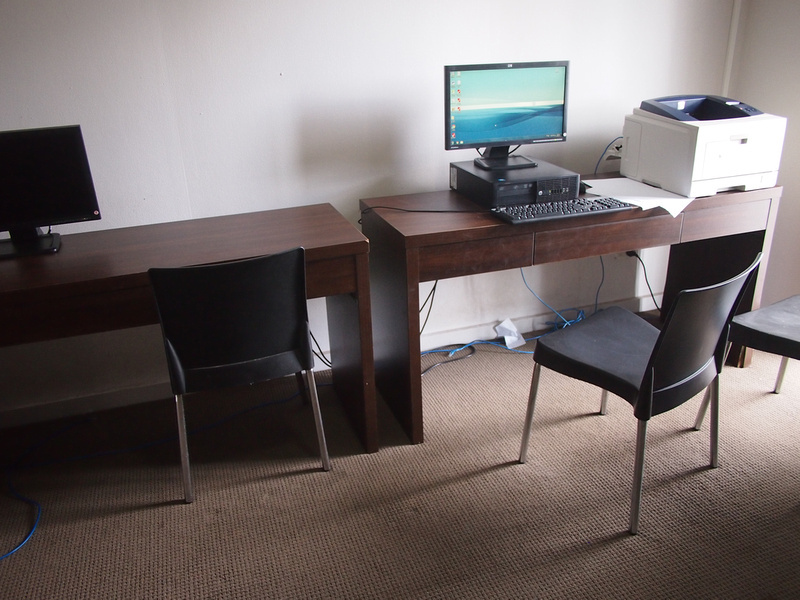 There is also a computer room with a PC and printer which offers free internet. 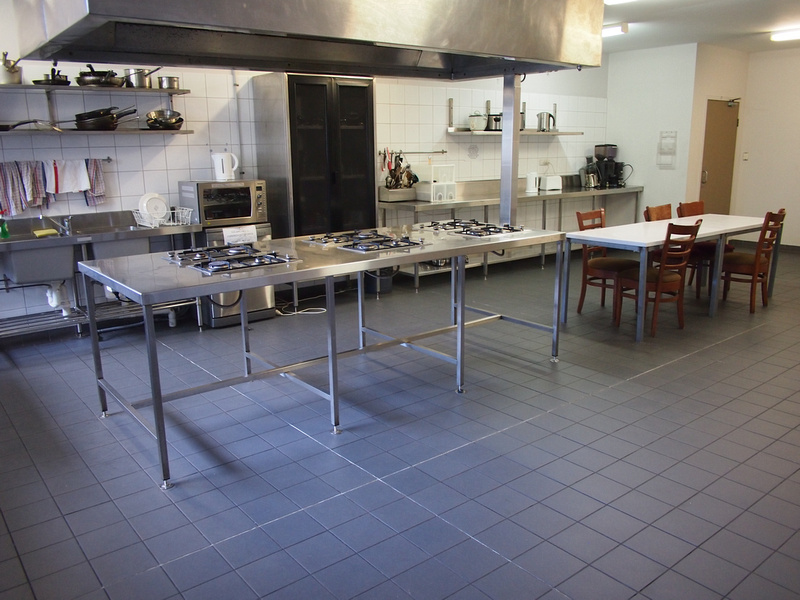 The hotel also has a large self-catering kitchen. This is a great for travellers in Darwin who are more likely to be travelling around the Top End by 4WD and have been preparing their own meals. If you are looking to explore more of the NT here are some tours from Darwin. Overall this was an excellent budget hotel in Darwin to stay in. 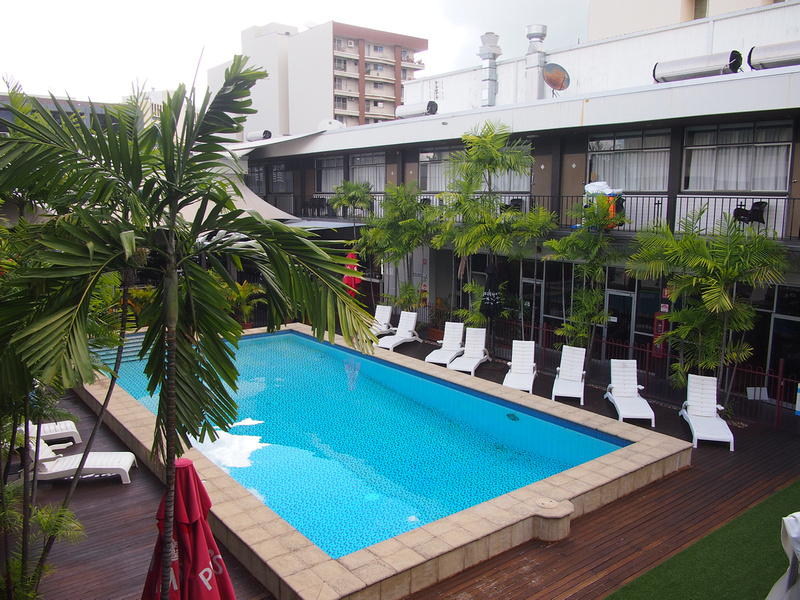 Book The The Cavenagh Hotel online or search for more hotels in Darwin.